This year I was fortunate to be invited to exhibit as part of a festival of pinhole photography in Mexico, "Xalapa y el Estenopo Perdido," which included exhibitions and seminars held in several venues around Xalapa, under the sponsorship of the Instituto de Artes Plásticas, of the University of Veracruz. 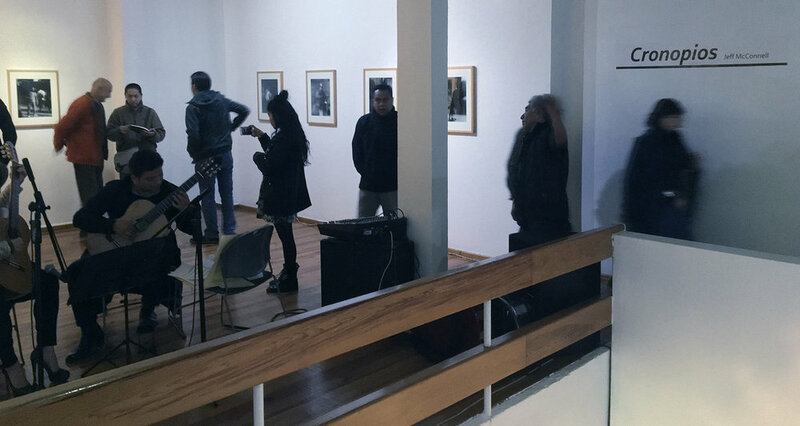 At the Galería Ramón Alva de la Canal I shared the space with "La Caja Obscura Mexicana," a broad survey of pinhole photography in Mexico going back to the 1970s. The whole extravaganza was ably orchestrated by David Victory Pineda and Byron Brauchli. Those two, there's none better.